Yeah, was meant as more of an observation. Off-brands for the win. I know. I'm just a jerk. I like soup noodle better than that curry noodle garbage. 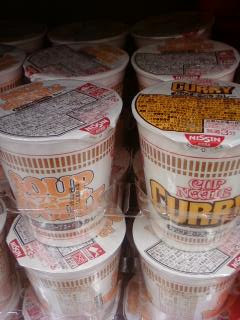 They're both curry flavor, as indicated by the yellowy lettering! You lose...!